As promised, 777 Studios have released the international version of 2PEZ’s Turismo Carretera simulation. The simulation is available via Gogamer.com in the US or can be ordered internationally by visiting the 777 Studios store. Using ISI’s gMotor engine, Turismo Carretera simulates one of South America’s most popular series, including four different car models and twelve tracks. More info can be found on the official homepage, including lots of screenshots and a video. 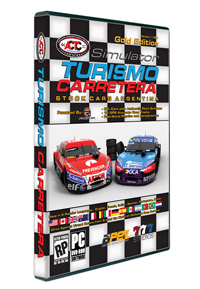 Turismo Carretra sells for $29,99 plus shipping and handling, a download-version of the simulation will be available in the near future. 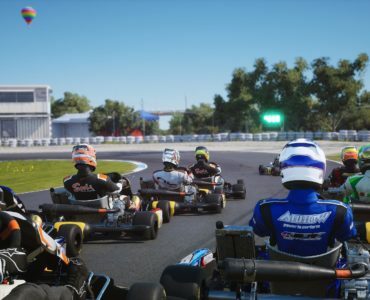 777 Studios’ Jason Williams was kind enough to answer some questions on the game and his studio, click “Read More” to find out more about the company, Turismo Carretera and their future plans in the field of racing simulations. Can you give me some background details on 777 Studios? When did you found the company, what was your motivation? I founded 777 Studios in March of 2007 as a part-time business with the plan to develop a combat flight-sim for PC first and then� look at racing sims once my flight-sim product was out the door. I did not think I could get into the� race-sim market so fast, but the opportunity with 2Pez presented itself so I went for it. I� have been� an avid flight and race simmer for 15 years and I have made a career out of selling sim titles at my day job as a manager at GoGamer.com which� is� popular game� retailer in the U.S. Since I already had access to a retail website and a distribution network, it made sense to me to get into development and� eventually publishing. My dream was to always be a flight and racing sim developer. 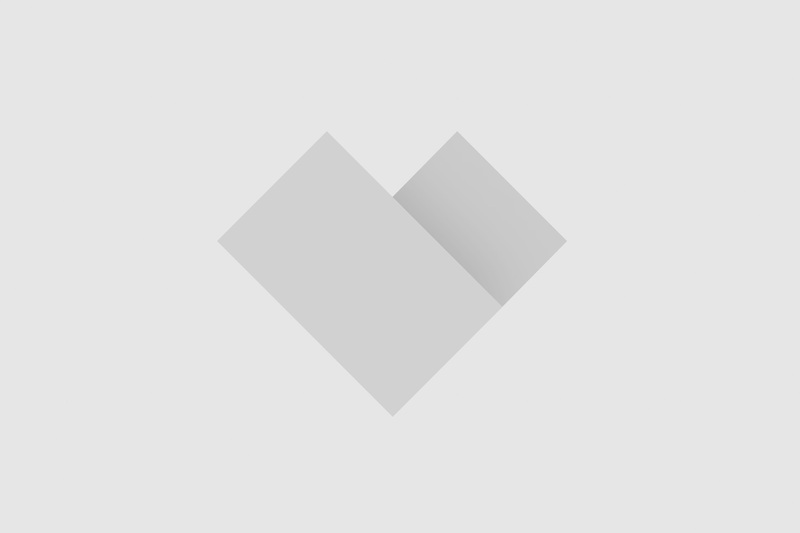 I love the PC� as a gaming platform and just always wanted to find my way into that business. And so I have, not sure if I am a success yet, but I’m trying. My goal is� for 777 Studios to grow little by little and I want it to be the company small and emerging developers of flight and racing sims come to when they want to reach a wider audience. The bigger publishers don’t seem to care for the niche simulation market, but I do and there is success to be had, you just need to know where the audience is. 777 Studios can help. How to you plan to succeed with selling racing simulations in the US?� Apparently, it’s quite a difficult market for racing sims as even Simbin is selling their products for a reduced price ($19,99) in the states. All I can say is “success” is a relative term to me. I have a small operation with low overhead so breaking even or turning a small profit is easier for me than say SimBin. 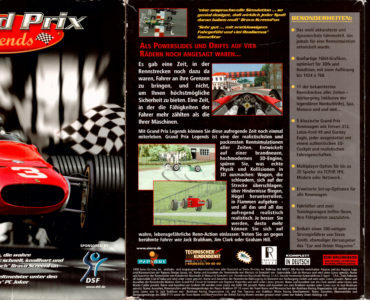 2Pez Games has already had� great sucess with� Turismo in it’s native Argentina� and� when I looked around, I� found that this great racing title has very little penetration in the U.S. or international market. So it was an easy decision for me to help 2Pez reach new potential� customers. The 2Pez crew are wonderful people and it has been my pleasure assisting them in reaching the U.S. market and beyond. They are a very talented� team. I not only have U.S. rights, but world-wide rights as well and I plan on selling it� wherever sim racers are. If we can reach� enough retailers and racers accross the globe, success will follow because� ACTC is a� great racing experience. It feels to me like a� cross between NASCAR and GTR. 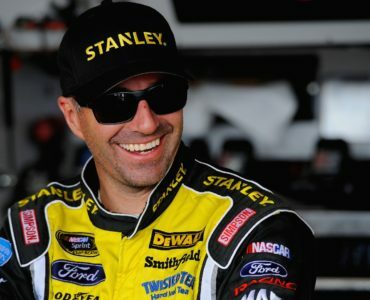 It’s unique and it takes place in a country that� 99%� of North American race fans� do not associate with stock car racing, but yet Argentina has an amazing racing heritage that� we are� ignorant to. It’s been a pleasure talking to people about what ACTC racing is and how not just the U.S. or Europeans have great motorsports. As far as pricing goes,� the market will eventually decide. We have a price for the DVD Gold Edition that is already cheaper than the previous download price for� an earlier, less complete version. I made sure we are not� asking a ridiculous price.� Turismo Carretera� is every bit as exciting as the other titles out there and it uses the most tested and trusted racing engine on the market.� My goal is to introduce 2Pez� games and ACTC racing to� a bigger audience and� the crew at 2Pez Games deserve it. They are nice guys and they have worked hard on their product.� I doubt I’ll get rich selling Turismo to the world, but check it out, you might really like it. Do you think that ACTC, being a national series, is appealing enough to the average racing fan as even interested motorsport followers might not have heard about the series yet? I like the fact that ACTC is a national series like� a NASCAR. That helps legitimize it in the eyes of some racers and� as a simulation fan myself, I always prefer� to drive or fly something that I know exists in real life. Sometimes I don’t like� driving on ficticious race tracks or in make-believe leagues. I like to know I am driving� on the real thing, well a virtual copy anyway.� 🙂 Isn’t that the appeal though? When� am I ever going to drive a stock car at Daytona or� an open wheeled� machine at� Monza in real life? I’m not, but� I can have an idea of what it is like to� race on a challenging road course in the beautiful countryside of Argentina� while banging fenders with 25 other cars. Sounds fun to me! What I like most about ACTC racing is it’s uniqueness. The tracks in Argentina are typically long straighaways with sharp flat turns. Very challenging to master. They are not banked tri-ovals or scenic autobahns, they are something different and I like that. The cars themselves are big and powerful and they can take a beating. 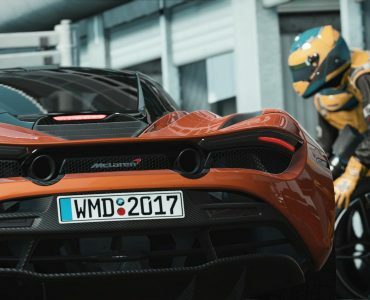 It’s been a nice change from what I� usually drive and I think others will enjoy it too.� Turismo Carretera� should make for some great� multiplayer racing! I get that ACTC will be released on DVD in the US. Do you already have a release-date for any other countries? Will the sim be released on DVD internationally too or via download? Yes, it is already available in the U.S. on DVD at GoGamer.com. Other U.S. retailers will be following soon. And I have made it available to the rest of the world via the 777 Studios Store. I� plan on distributing it world-wide through internationally located distributors so� I eventually do not have to ship from the USA to consumers. Obviously Canada, Europe and Australia are high on my list to get to and not to� forget any Spanish speaking countries as well.� We’ve already sold some to a distributor in Japan. As far as download plans go, we are working on that and will have a new download version available in the near future. If you don’t live in the USA and want Turismo Carretera you can definitely get it. Just visit the 777 Studios Store or ask your favorite retailer to carry it and I will make sure they get some. Are there any plans to publish 2PEZ upcoming TC2000 simulation or any other sim racing products yet? That is the plan, but final details have to be worked out. TC2000 is looking great and 2Pez is doing a great job once again. Turismo Carretera is� the introduction of 2pez Games to the world and they will be a force to be reckoned with on the race-simming scene for years to come. So European(Finland) buyers should use PayPal, no direct(and secure) payment option for credit/debitcard(Visa master etc) users? Does this version include all patches already? Raikku, this version include all patches and upgrades! It’s in Denmark, Sweden and Norway. GameStop or EB Games. Gamestop bought EB Games I think. Are the physics the same as rfactor or have you guys made improvements? I like rfactor, but the FFB and some physics are not quite as good as Evo/GTR2 IMHO. Just asking? Also, is there a link to explain/identify the improvements made since you guys released the trial d/l version? Also, does it support wide screen gaming same as rFactor? Anyway, I’m very interested in this game and supporting you guys and your efforts. Well Jason, in support of your efforts and Pez, I placed my order tonight on GoGamer.com. I hope it’s improved over the trial version? I’m sure I’ll be pleased. RKipker, the ACTC physics are gMotor based, but you must to test the FFB settings we have! ACTC car are really funny to drive. Concerning widescreen is the same as rF. Does anyone know where can I get crack for this game,please help me I want to play it? !